Last night, Lincoln Plaza Cinemas closed its doors for good, shuttered by the landlord, Milstein Properties, who refused to renew the lease, despite pleas from local politicians and thousands of New Yorkers. The cinema held a memorial last night--for the place and for the man who began it, Dan Talbot, who died just a few weeks ago. Michael Moore was there, along with Wallace Shawn, Philip Lopate, and other speakers. 1. Sign and share the petition and give the Milsteins a piece of your mind. 2. Take one minute to send a ready-made letter to the mayor and Council Speaker telling them to pass the Small Business Jobs Survival Act. 3. 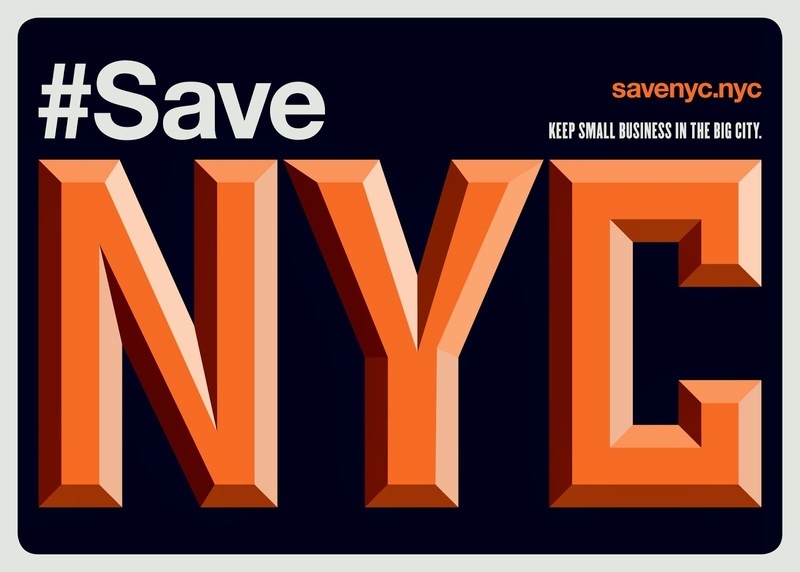 Join #SaveNYC on Facebook, meet people, and organize an action. I was a UWS kid, and Lincoln Plaza shaped me more than anything besides home and school. I'd just go there by myself, look at the posters for awhile, and pick one. What's the point of living in cities if we can't save Lincoln Plaza? Cities are for unexpected encounters with strangers, with art, with places. Michael Moore has done quite well under this " 20th century form of capitalism." There's nothing stopping him or any number of very liberal and extremely wealthy New Yorkers or others from finding and funding another location for the theater or opening another. I enjoyed the theater very much while attending law school in the neighborhood in the late 90's, and I'm sorry to see it go. However, whether you like it or not, the theater largely catered fairly elite New Yorkers, and relatively few people will even realize it's gone. I have probably seen 2 movies per year there over the last 20 years. I would compare the offerings to be similar to the IFC or Angelika. The screens were small, and it seemed most of the clientele were 70+ years old but that might be because I went to the earlier shows. I haven't gone much in recent years because my TV is larger and I can see movies cheaper at home. The Lincoln Plaza was underground and very dark and musty and intimate because of the smaller theaters. You could forget about the rest of the world for a couple of hours down there. Branford, most everything in Manhattan is now an elite pursuit. Jeremiah makes the point pretty persuasively on this blog that this is a structural (and urgent) problem. In other words, it shouldn't be Michael Moore bankrolling a vanity theater project but the city getting behind small businesses, including independently-owned movie theaters. And I was a middle class kid, back when you could be a middle class kid on the UWS. I'd suggest that your position is the elitist one, since you don't care whether the UWS is stripped of its remaining independent cultural institutions. Widening the corporate grip on cultural production will just make non-blockbuster movies that much less accessible to ordinary people. Most things in Manhattan are for the elites -- Met Opera, Frick Collection, Zwimmer Gallery, ... I'm neither rich nor an elite but I like going to them to escape and to fantasize or to see and feel what I can never be. Lincoln Cinemas may have been for the elites but it was welcoming and affordable to all. And just because this was mostly for the elites, it does not mean that its demise or murder (it wasn't because of senescence but it was killed by the elite corporate real estate developers so that they can build more luxury condos for the elites) should be less or not mourned. And most things in Manhattan are now just exclusively for the elites and riches, and tourists. If you're just a riff-raff trying to enjoy what the city has to offer, such as the aforementioned museums and galleries above, or even the NYPL at 42nd st and 53rd sts., not to mention all these gastropubs and restaurants, you are treated suspiciously and glacially. Lincoln and Sunshine Cinemas are where one can hide from all this without judgment while expanding one's horizon, elite or not. There's no such thing as an "elite." It's a nonsense word. What so a person who has some money and good taste in film is an "elite?" Give me a break. Not everyone has a large TV and/or has a Netflix account and can just Netflix and Chill it. Whole point of going to a theater to see a movie --artsy, Hollywood or otherwise-- is so that one can experience a film with others--a communal experience, laugh and cry with them simultaneously, or to be alone together. We have become an individualistic and selfish society. And reason why people go out is to escape their apartments, which at most times can be confining and suffocating. What's the point of living in NYC if one will just be a shut-in and have everything delivered (Amazon, Fresh Direct, Seamless...) to them? Then again, maybe one should just stay in their overpriced 'luxury' apartments if one is not an elite, since NYC today caters only to the elites (and tourists). Maybe, and hoping that, in a few ears this place will become a Starbucks offering a ""full-body" latte".